Home Health Care Policies: The Centers for Medicare & Medicaid Services (CMS) has launched a new accountable care organization (ACO) model called the Next Generation ACO Model (NGACO Model). The twenty-one ACOs participating in the NGACO Model in 2016 have significant experience coordinating care for populations of patients through initiatives, including, but not limited to, the Medicare Shared Savings Program and the Pioneer ACO Model. Building on experience from the Pioneer ACO Model and the Medicare Shared Savings Program, through this new model, CMS will partner with ACOs that are experienced in coordinating care for populations of patients and whose provider groups are ready to assume higher levels of financial risk and reward. This is in accordance with the Administration’s goal of tying 30 percent of traditional, or fee-for-service, Medicare payments to alternative payment models, such as ACOs, by the end of 2016 -- and 50 percent by the end of 2018. Medicare ACOs have grown to over 477 nationwide, currently serving nearly 8.9 million beneficiaries since the Medicare Shared Savings Program and Pioneer ACO Model began in 2012. The results from the past 4 years have demonstrated that ACOs can provide better quality of care for beneficiaries while producing savings. The NGACO Model organizations represent a variety of provider organizations and geographic regions, and were selected by fulfilling specific eligibility criteria outlined in the Request for Applications found at the Next Generation ACO Model web page. These organizations were selected through an open and competitive process from a large applicant pool that included many qualified organizations. Smooth ACO cash flow and support investment in care improvement capabilities through alternative payment mechanisms. Medicare ACOs are comprised of groups of doctors, hospitals, and other health care providers and suppliers who come together voluntarily to provide coordinated, high-quality care at lower costs to their Original Medicare patients. ACOs are patient-centered organizations where the patient and providers are true partners in care decisions. Participating patients will see no change in their Original Medicare benefits and will keep their freedom to see any Medicare provider. Provider participation in ACOs is also voluntary. When an ACO succeeds in both delivering high-quality care and spending health care dollars more wisely, it will share in the savings it achieves for the Medicare program. The goal of care coordination is to ensure that patients, especially those with chronic conditions, get the right care at the right time while avoiding medical errors and unnecessary duplication of services. Any patient who has multiple doctors has experienced the frustration of fragmented and disconnected care: lost or unavailable medical charts; duplicated medical procedures and tests; difficulty scheduling appointments; or having to share the same information repeatedly with different doctors. ACOs are designed to lift this burden from patients, while improving the partnership between patients and doctors in making health care decisions. Medicare beneficiaries will have better control over their health care, and providers will have better information about their patients’ medical history and better relationships with their patients’ other providers. For providers, ACOs hold the promise of realigning the practice of medicine with the ideals of the profession—keeping the focus on patient health and the most appropriate care. Medicare beneficiaries whose doctors participate in an ACO will still have freedom of choice among providers and can still choose to see providers outside of the ACO. Patients choosing to receive care from providers participating in ACOs will also have access to information about how well their doctors, hospitals, or other caregivers are meeting quality standards. Round 2 Letters of Intent and applications will be made available in spring 2016. The CMS Innovation Center was created by the Affordable Care Act to test innovative payment and service delivery models to reduce program expenditures while preserving or enhancing the quality of care for Medicare, Medicaid and Children’s Health Insurance Program beneficiaries. 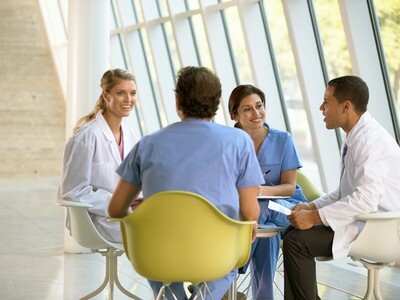 Working in concert with the Shared Savings Program, the CMS Innovation Center is testing a number of ACO models and has sponsored learning activities that help providers form ACOs and improve their results. More information on all of these initiatives is available on the CMS Innovation Center website at https://innovation.cms.gov/. More information about the NGACO Model, including payment arrangements, quality measures, and benefit enhancements, is available on the CMS Innovation Center website at the Next Generation ACO Model web page. Any questions about the NGACO Model can be directed to NextGenerationACOModel@cms.hhs.gov.